My OCD couldn’t handle the 4 or 5 wrench sets that were all missing wrenches. This is much better. 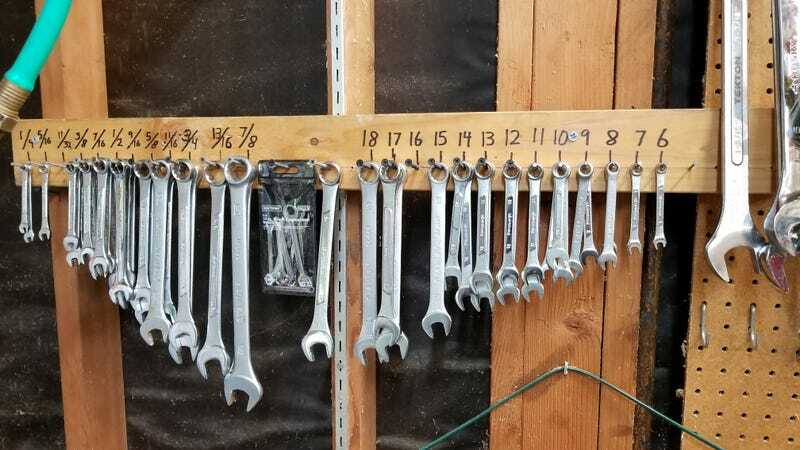 A place for every wrench. Every wrench in it’s place. Now for the rest of the work area... Any shop organization tips will be gladly appreciated! Window section is pretty good after an intense reorganization, but the rest.... Good god. Needs work. Especially the tool side... Anybody have tips on the best way to store tons of loose sockets in a way that’s quick and easy to use each one? Any good ideas for better utilization of the pegboard?